Description: If public education is less expensive than private education, it is still out of the reach of many poor families. When this is the case, monastery schools is the only alternative. Over there, orphans and children from destitute families learn for free fundamentals of reading, writing, calculus, History, Geography and Buddhism. 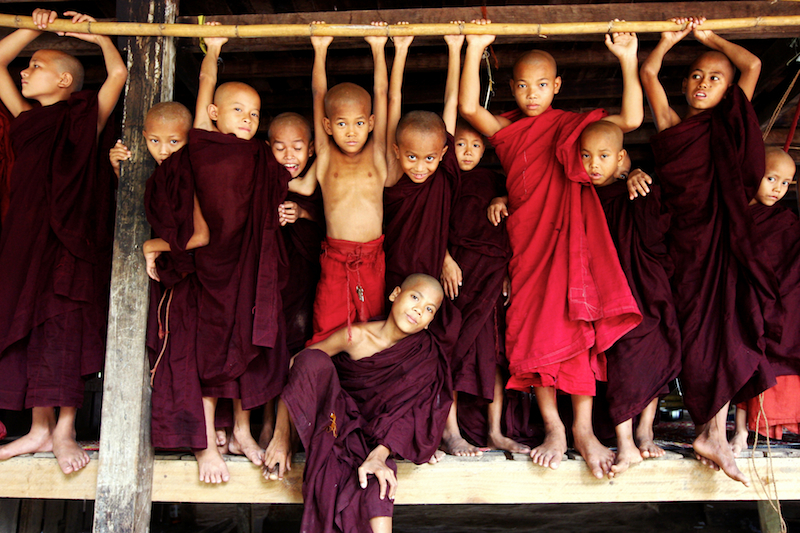 Key stakeholders in Burma?s education since the 11th century, these schools have educated generation after generation of princes and beggars up to the middle of the 20th century. Today, they mostly take care of the poor, teaching around 93,000 children according to UNICEF. Though authorized by the ministry of Religious Affairs to teach primary school, only two monasteries in the whole country ? one in Yangon and one in Mandalay ? have the right to teach after 5th grade.